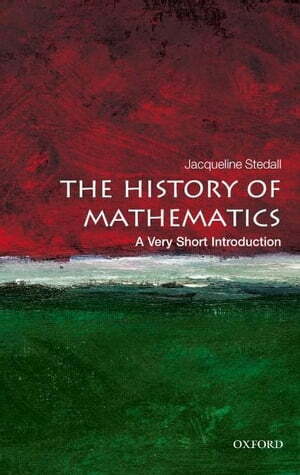 Collins Booksellers - The History of Mathematics: A Very Short Introduction by Jacqueline Stedall, 9780191633966. Buy this book online. Mathematics is a fundamental human activity that can be practised and understood in a multitude of ways; indeed, mathematical ideas themselves are far from being fixed, but are adapted and changed by their passage across periods and cultures. In this Very Short Introduction, Jacqueline Stedall explores the rich historical and cultural diversity of mathematical endeavour from the distant past to the present day. Arranged thematically, to exemplify the varied contexts in which people have learned, used, and handed on mathematics, she also includes illustrative case studies drawn from a range of times and places, including early imperial China, the medieval Islamic world, and nineteenth-century Britain. ABOUT THE SERIES: The Very Short Introductions series from Oxford University Press contains hundreds of titles in almost every subject area. These pocket-sized books are the perfect way to get ahead in a new subject quickly. Our expert authors combine facts, analysis, perspective, new ideas, and enthusiasm to make interesting and challenging topics highly readable.